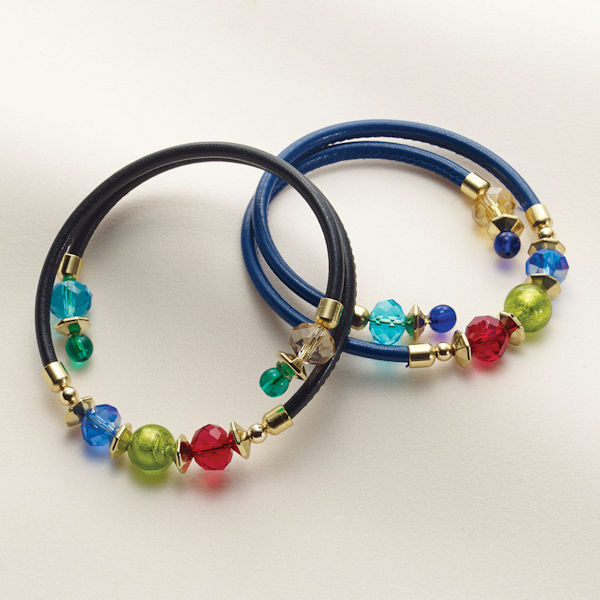 Wrap your wrist with brilliant Murano glass and colorful crystals. Glass and metal beads are strung on memory wire covered with leather for a soft touch. 13" long. Specify Black or Blue.